New Brunswick Community College (NBCC) campuses are abuzz as hundreds of students prepare to cross the stage at six graduation ceremonies this week. “Graduation is the most exciting time for everyone at NBCC. It’s the ultimate reminder of why we’re all here – to transform lives and communities,” said Marilyn Luscombe, President and CEO of NBCC. “We know that our graduates will leave NBCC with the skills that employers want and the community leadership skills to make a difference.” A recent Graduate Follow-up Survey indicates that 90% of the 2014 graduates were employed within a year of graduating and 90% of employed NBCC graduates are working in New Brunswick. “We’re excited to see this latest group of graduates join the more than 80,000 NBCC alumni who graduated before them and can’t wait to hear how these students will go on to achieve great things,” said Tom Meadus, Director of Advancement at NBCC. “These outstanding students will go on to contribute to the prosperity of New Brunswick,” he said. “We see evidence of this every day by staying connected with our alumni, employers and industry partners.” NBCC alumni are key drivers of the New Brunswick economy and provide an annual economic impact of more than $1 billion or 3.8% of the Gross Domestic Product. This is a syndicated post. 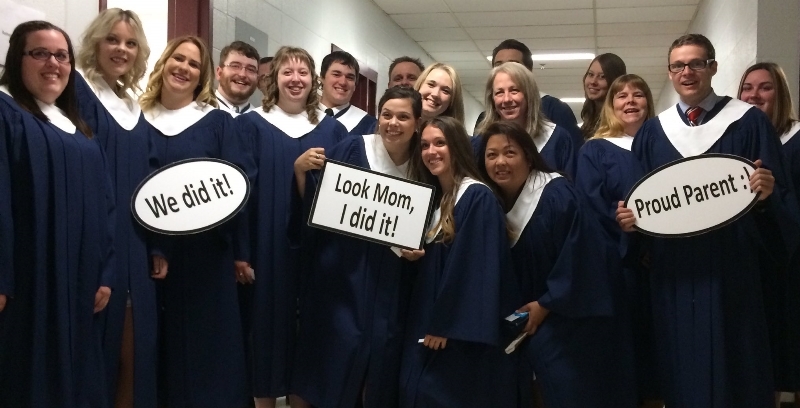 You can view the original post here: Celebrating NBCC’s graduating class of 2016.